Wo Men Women 2015 proudly presents “In Search of Identity”, an exhibition featuring artworks that explore the life journeys of four Singapore-based artists. The project relates the intertwined relationship between the artists’ self-awareness and the fruits of their contemplation. Connected by a common love for creation, the artists share their reflection on existence through diverse art-making practices that is sure to move viewers. The exhibition, which welcomes all art lovers regardless of gender, will feature a collection of paintings, drawings, photographs and sculptural installations. 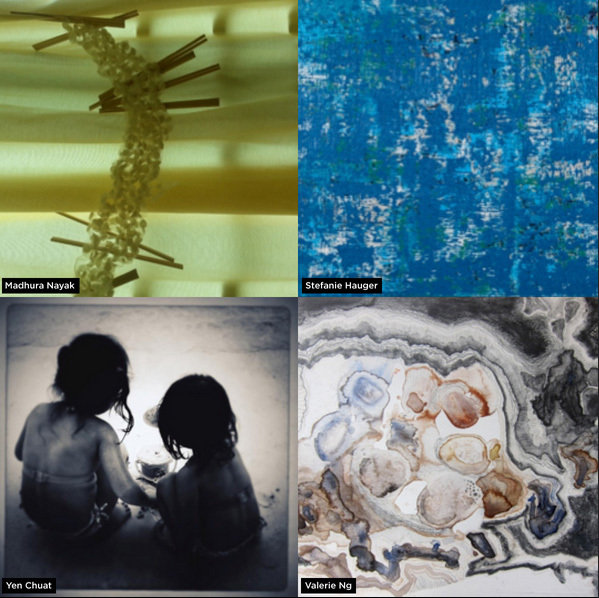 Artists Line-up: Yen Chua, Madhura Nayak, Valerie Ng and Stefanie Hauger. Featuring Bassoonist Emerald Chee and Oboist Bernice Lee. Artists will be present during opening reception.